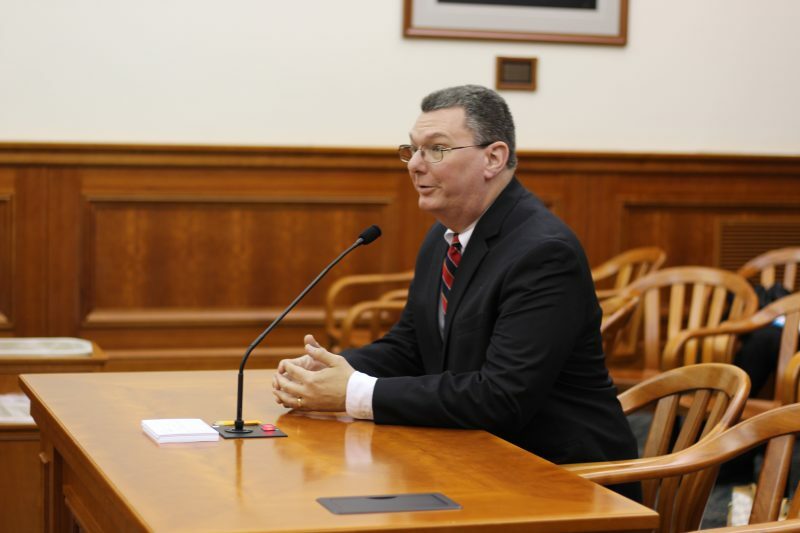 On February 6, John Cooper, CAPPS policy director, leaders of two Michigan business associations, a crime survivor organization, a faith coalition, and a conservative interest group testified before the House of Representatives Law and Justice Committee in support of HB 5377. Michigan Department of Corrections (MDOC) is neutral on the bill but provided supporting information to the Committee. John Cooper, CAPPS policy director, provided written testimony as time was limited. Currently, incarcerated people who are eligible for parole undergo a rigorous risk assessment by the parole board. By law, board members can only deny parole for “substantial and compelling” reasons when individuals’ scores indicate they are a low risk to public safety. Unfortunately, the law did not define those reasons. HB 5377, sponsored by Representative Klint Kesto (R – District 39), defines “substantial and compelling” reasons for parole denials. The bill creates an objective parole process while preserving the parole board’s ability to deny parole to any individual for objective safety concerns. HB 5377 reduces the risk of inconsistent parole decisions for similarly-situated prisoners. It puts the focus of the parole release on whether the prisoner presents a credible risk to public safety if released, and it creates objective standards for making this determination. By increasing the transparency and predictability of the parole process, it increases prisoners’ incentives to invest in their own rehabilitation. Low-risk parole-eligible people can become productive members of our workforce. We believe in the power of restoration and that anyone who is willing to change their behavior can be transformed by the renewing of their minds, fortifying the family and strengthening our communities. A number of organizations support the bill in addition to CAPPS, including the ACLU of Michigan, Americans for Prosperity, Christian Coalition of Michigan, Criminal Defense Attorneys of Michigan (CDAM), Detroit Regional Chamber, Michigan Council on Crime and Delinquency, Saginaw County Chamber of Commerce, and Still Standing Against Domestic Violence. Family members of Nelson Sumpter submitted written statements in support of the bill. Currently, the MDOC does not take a position on the bill but is in support of the concepts outlined in the proposed legislation.